Why are SA’s banks facilitating climate change? 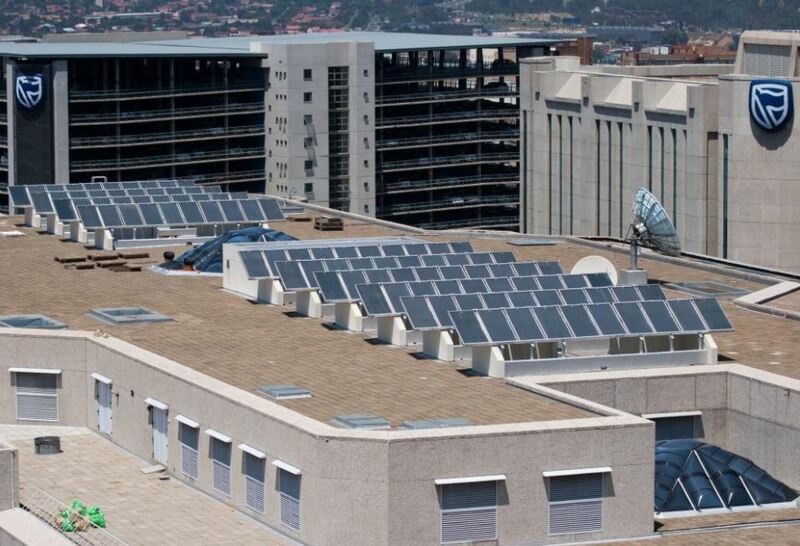 Four of South Africa’s biggest banks appear to have no problem with funding new projects that will fuel climate change. They also do not seem to be concerned about the fact that climate change will place these very projects at risk. These banks are also funding new coal despite the fact that they have all made public commitments on climate change. In March, in the precedent-setting judgment in Earthlife Africa Johannesburg v Minister of Environmental Affairs & Others, the Pretoria High Court set aside the environmental approval for the proposed new Thabametsi coal-fired power station, because there was inadequate consideration of the project’s significant climate change impacts. The judgment highlights how new coal-fired power stations carry major risks not only for the climate and the communities in which they are situated, but also for the investors in such projects, and for the banks that finance them. Nedbank, Standard Bank, ABSA and Rand Merchant Bank are listed as contributing to the financing of the Thabametsi project. Thabametsi’s draft climate change impact assessment, which was compiled by an independent consultant for Thabametsi, on instruction from the Minister of Environmental Affairs after she granted its environmental authorisation, demonstrates that the Thabametsi project will irreversibly contribute to climate change, and confirms that its own lifespan will be threatened as a result. The Centre for Environmental Rights first raised the role of the banks in the Thabametsi new coal project in December 2016. In May 2017, after the High Court judgment and the release of the draft climate change impact assessment, we wrote to Nedbank, Standard Bank, ABSA (via its parent company Barclays Africa Group) and Rand Merchant Bank (via its parent company FirstRand Bank Limited) to alert them to the findings of the Thabametsi judgment. We also raised the issue of risk, and highlighted the discrepancies between these banks’ public commitments on climate change and the fact that they are nevertheless financing new coal. We extended an invitation to each of the four banks to respond to these issues. Only two banks have responded. In Standard Bank’s response, it states that it “is committed to a balanced approach to meeting Africa’s energy needs while reducing negative impacts. Standard Bank is currently reviewing the project in line with its environmental and social risk management systems, policies and standards, and this process is ongoing”. In FirstRand’s response, the bank agrees that the Thabametsi judgment is an important one, but then refers to South Africa’s “challenges in energy security”, and says that it remains “committed to act according to best practice principles and will abide by the applicable laws and regulations”. Nedbank and Barclays Africa failed to respond at all. Nedbank, Standard Bank, Barclays Africa Group and FirstRand Bank have all publicly acknowledged the risks posed by climate change. Nedbank, Barclays Africa Group and FirstRand Bank have publicly committed to taking leadership on the issue. All of these banks are signatories to the Equator Principles, the aim of which is “to provide a minimum standard for due diligence to support responsible risk decision-making” in relation to environmental and social impacts. By financing high-carbon activities such as new coal-fired power plants, these banks undermine and call into question their supposed public commitments on climate change. Financing coal exposes these banks and their shareholders to high-risk projects, which may well become “stranded assets” in the near future, as climate change reduces operationally vital local resources, such as water, to the point where the plant can no longer operate. It also undermines South Africa’s commitments under the recently ratified Paris Agreement on Climate Change, which commits international governments to make finance flows consistent with low carbon and climate-resilient development. Banks, through the projects that they elect to finance (or not to finance), have a crucial role to play in this transition. The Paris Agreement requires South Africa to make a rapid shift away from the burning of coal and the building of any new coal-fired power plants. Thabametsi is only scheduled to be commissioned in 2021 and has a proposed lifespan of 40 years. There is therefore a very real risk that Thabametsi will not be able to operate for its full expected lifespan. “South Africa must prioritise the transition to a low carbon economy as a matter of extreme urgency, if we are to have any chance of ensuring that the well-being of future generations is not compromised by short-sighted decisions made in the present.” says Davies. All statements to be attributed to Tracey Davies, head of the CER’s Corporate Accountability Programme, tdavies@cer.org.za. For queries, contact: Annette Gibbs, CER’s Communications Manager, agibbs@cer.org.za 082 467 1295.